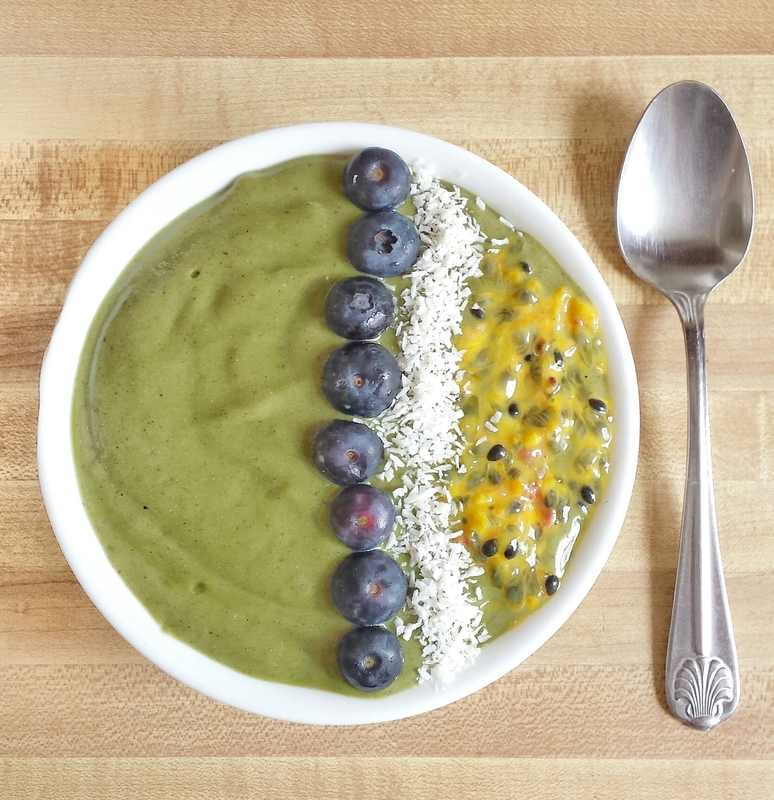 Summer is the time for smoothie bowls. I love acai bowls, but other thick, smooth, ice-creamy bowls are also welcomed! I made this after not having a smoothie for several days, and I can’t tell you how amazing I felt after I finished it. It’s easy peasy and features my favorite fruit of all time, the humble nectarine, as well as one of my top 5 favorite fruits, a vibrant fruit with a most distinct personality, the passionfruit. -blend all the smoothie ingredients except the banana until smooth. Add enough milk to get it going. -Add in the bananas and blend again until smooth. If it’s too thick, add in more milk or use a tamper to help the blending process. -Top with my suggested toppings or your toppings of choice. Make sure you get a little bit of each of them in every bite. That’s the best part!